Drought conditions are slightly improved with the Gulf Coast out of drought and less severe conditions on the High Plains, but drought has intensified through the north-to-south center of the state. 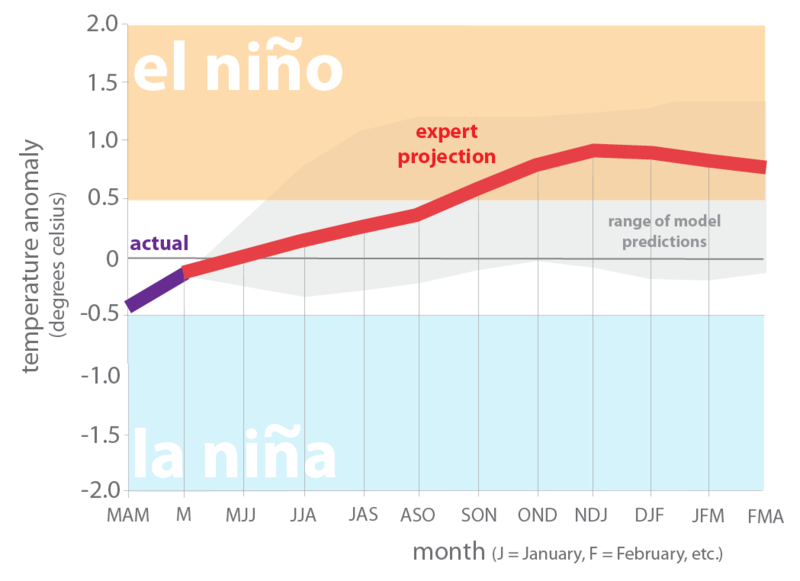 The chances of El Niño arriving this fall and winter increased. 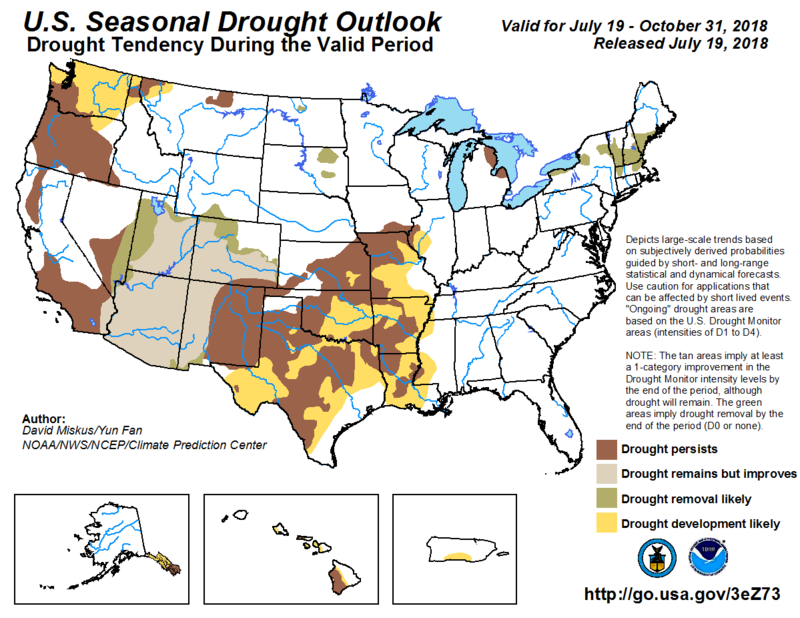 Drought is expected to expand over the next three months. Seeking cooler temperatures and Leif Erikson’s settlement some 1,000 years ago in Newfoundland (#SorryColumbus), my bride and I were surprised that there’s a Canadian Hurricane Centre, something we discovered after the remnants of Hurricane Chris howled through our cod dinner in St John’s. So far, the tropical season has been quiet, but it doesn’t really take off until August through October, so stay tuned (Figure 1). 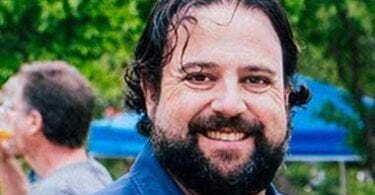 Developing El Niño conditions could act as a suppressor. The National Oceanic and Atmospheric Administration has incorporated the developing El Niño into its projection of a 70-percent chance of 10 to 16 named storms with 5 to 9 hurricanes. 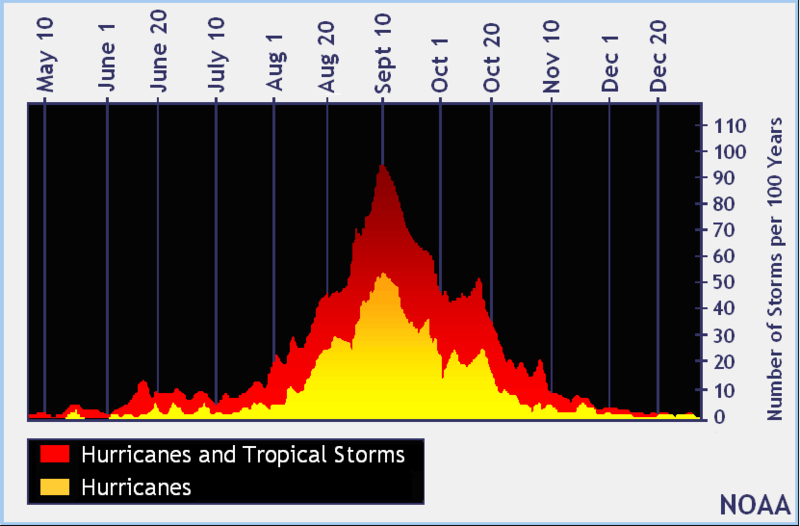 Figure 1: Frequency of tropical storms (source). Figure 2. 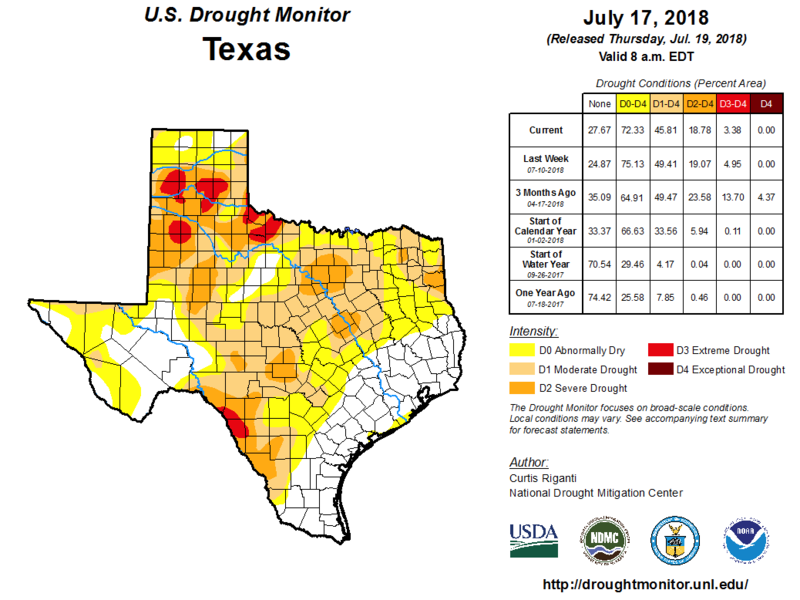 Drought conditions in Texas according to the U.S. Drought Monitor as of July 17, 2018 (source). Figure 3. 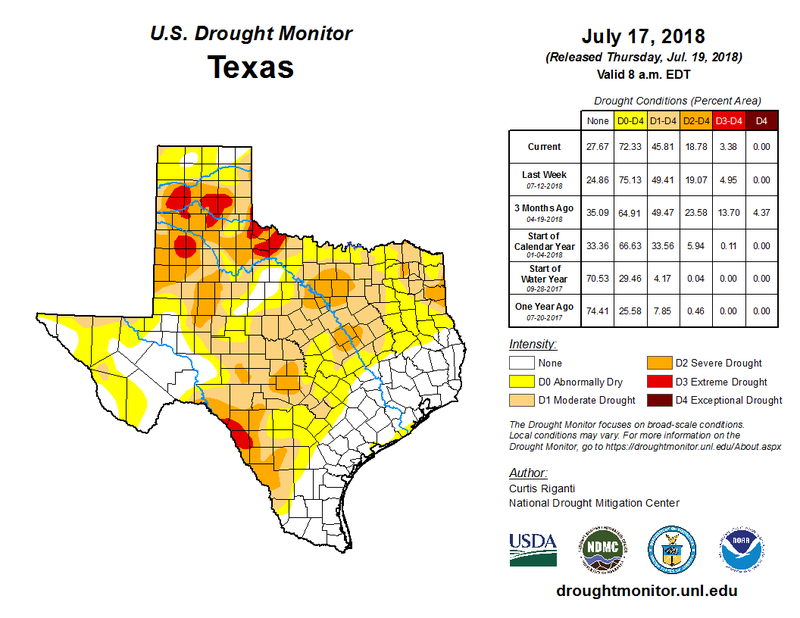 Changes in the U.S. Drought Monitor for Texas between June 19, 2018, and July 17, 2018 (source). 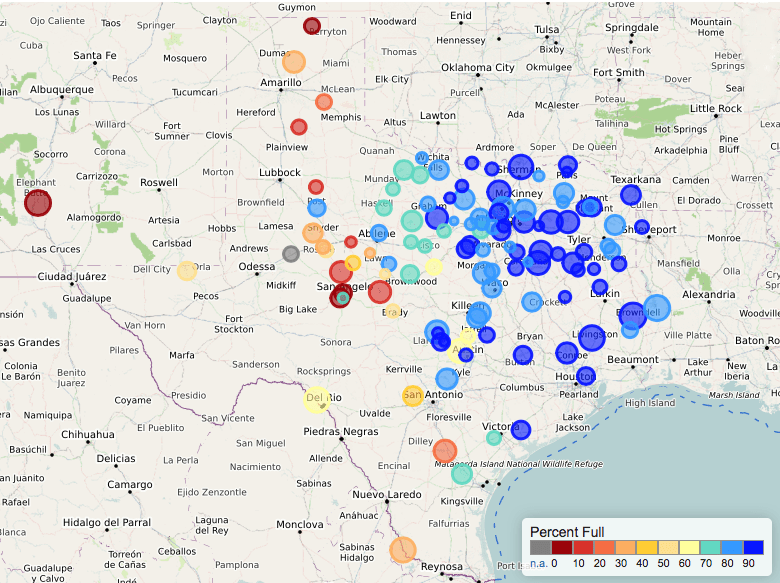 Ninety-day rainfall deficits look better this month than last, but much of Texas has still received less than 75 percent of normal for the past three months. The good news is that areas with less than 25 percent of normal rainfall have evaporated with recent rains; the bad news is that large parts of the state remain at less than 50 percent of normal rainfall (Figure 4). Figure 4. Rainfall as a percent of normal for the past 90 days as of July 18, 2018 (source). 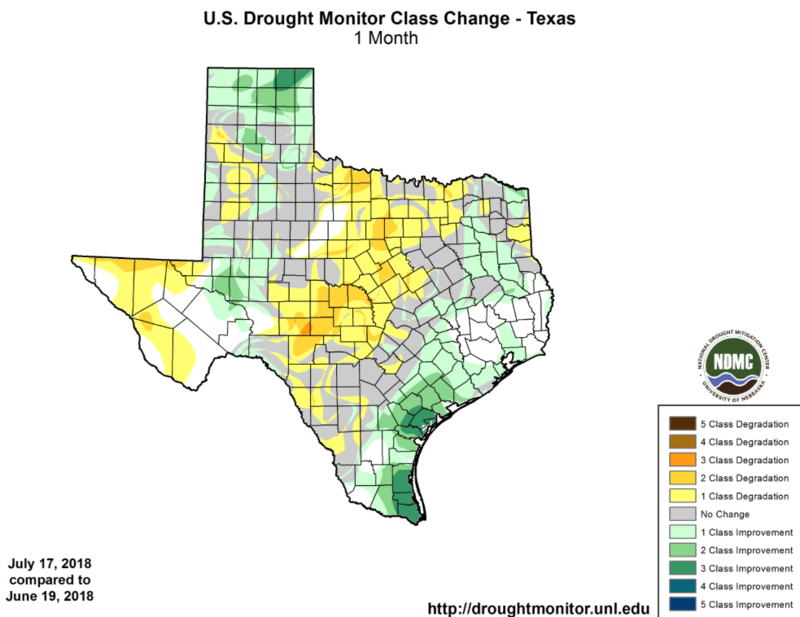 The North American Drought Monitor for June looks about the same as the one from May except with a flaring of drought conditions in the Del Rio area (Figure 5). Figure 5. 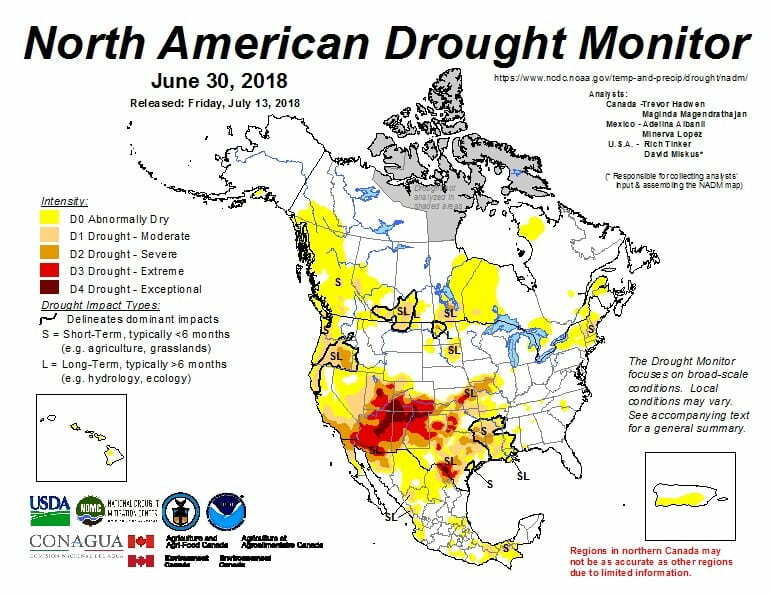 The North American Drought Monitor for June 30, 2018 (source). For the state, reservoir storage has continued to take a dive over the past month and is now about 8 percentage points below normal for this time of year (below the median as measured since 1990) at about 78.5 percent full (Figure 6). 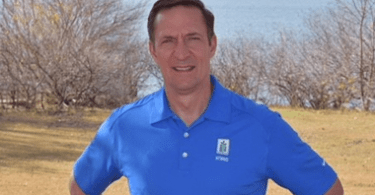 Some of the reservoirs are starting to show the stress of the drought with Medina Lake now at 50 percent full, Choke Canyon heading back down to 25 percent, and Lake Travis at 67 percent (Figure 7). Figure 6: Statewide reservoir storage since 2016 compared to statistics (median, min, and max) for statewide storage since 1990 (source). Figure 7: Reservoir storage as of July 20, 2018, in major reservoirs of the state. Elephant Butte Reservoir in New Mexico is shown because it is an important source of water to the El Paso area (source). We remain under an El Niño Watch for the fall and winter (Figure 8). The Climate Prediction Center now projects a 65 percent chance of El Niño conditions appearing this fall (up from 50 percent last month) and a 70 percent chance of El Niño conditions during the winter (up from 65 percent last month). 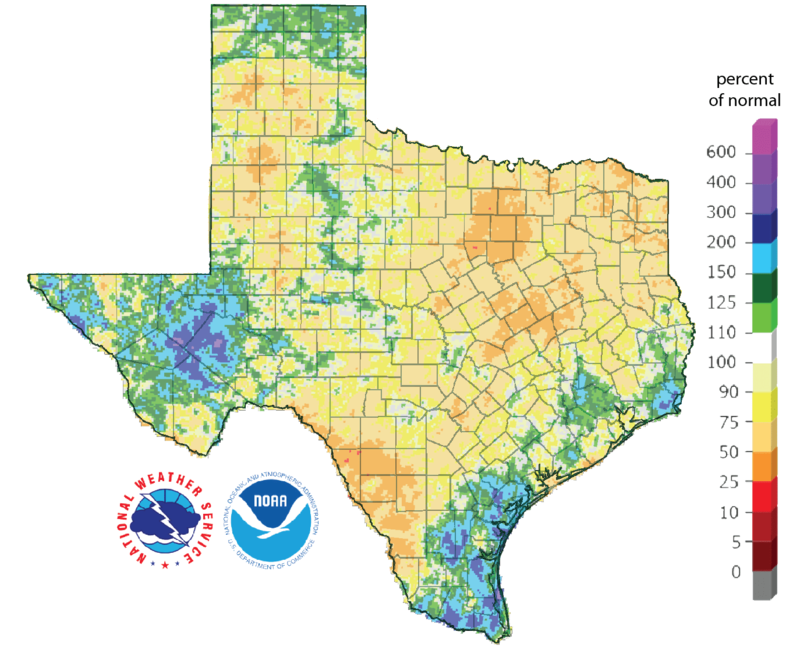 El Niño conditions generally result in wetter-than-normal and cooler-than-normal conditions for Texas and act as a tropical storm suppressor. Figure 8. Forecasts of sea surface temperatures anomalies for the Nino 3.4 Region as of April 19, 2018 (modified from source). The U.S. 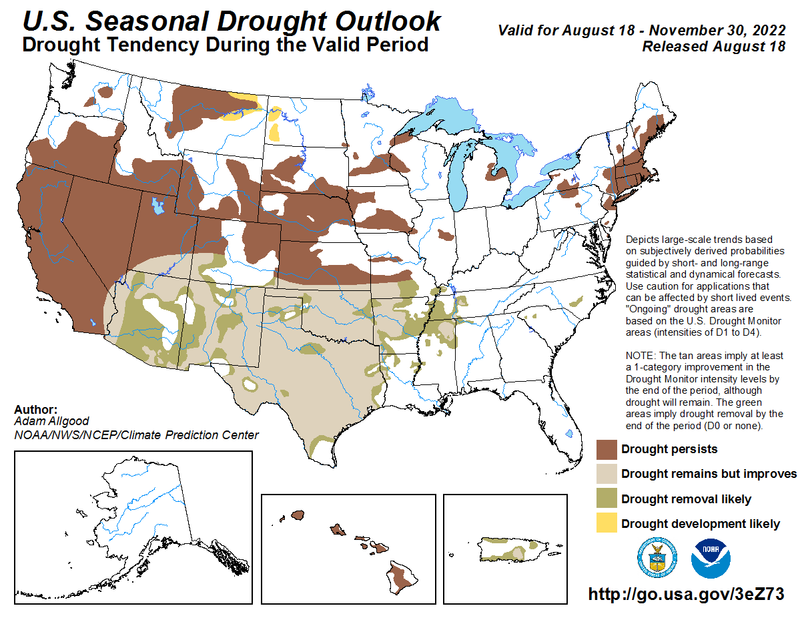 Seasonal Drought Outlook through Halloween looks scary with continued and expanded drought expected throughout most of the state (Figure 9). On the bright side, projected El Niño conditions in the fall and winter will hopefully be the silver bullet to end this drought! Figure 9: The U.S. Seasonal Drought Outlook for July 19 through October 31, 2018 (source).